The Blundell Power Plant, owned by PacifiCorp Energy, has a 34 megawatt generating capacity. The plant is located approximately 10 miles northeast of Milford, Utah. Images of geothermal energy in the West typically conjure up visions of the famous geysers and bubbling mudpots of Yel­lowstone National Park; but, like most states in the western United States, Utah has its own geothermal resources. In fact, Utah’s geothermal potential for electricity production is one of the best in the nation, ranking behind only California, Nevada, and Oregon. A study by the Western Governors Association esti­mates Utah’s 20-year geothermal energy development potential at 620 megawatts (MW) of generating capacity, which would be approximately 12 percent of Utah’s estimated electrical energy consumption in 2026. Even before Europeans explored the area, Utah’s geothermal resources had been in use for centuries. Native Americans used geothermal hot springs for washing and bathing and as a heat source during the winter months. When Mormon pioneers set­tled in Utah in the mid-1800s, among the first proprietorships established were geothermal bath houses, which were located throughout Utah. Wasatch Warm Springs in Salt Lake City, Cas­tilla Hot Springs in Spanish Fork Canyon, and Pah Tempe Hot Springs in La Verkin are but a few examples of hot springs used throughout Utah by Native Americans, European explorers, and Mormon pioneers alike. Many hot springs are still being used today. 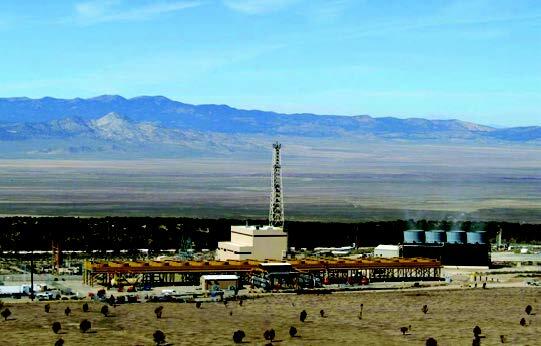 Decades later, a renaissance is occurring in the development of Utah’s geothermal resources. Drilling and energy-generating technologies have advanced and developed to allow us to drill deep—often miles—into the state’s geothermal hot spots to explore their potential for extracting the heat resource (200–500 degrees Fahrenheit) and to convert that heat to useful electrical energy. Utah’s first geothermal power plant was developed at Roosevelt Hot Springs, in Beaver County, approximately 10 miles north­east of Milford. 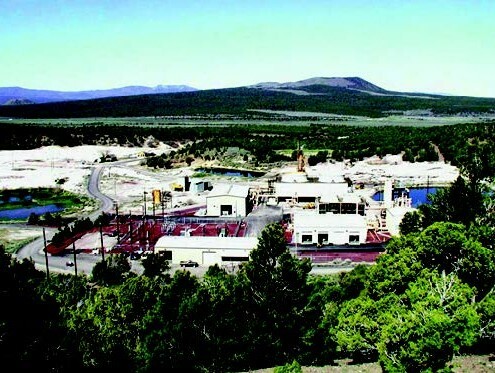 Phillips Petroleum and Utah Power & Light (now owned by PacifiCorp) explored the area and built the Blundell Geothermal Power Plant in 1984. What was once a small hot spring used by cattlemen and miners for bathing, laundry, and swimming started to generate enough electricity (24 MW) to power approximately 23,000 homes. In 2007 PacifiCorp, with the help of new technology, added a new generating unit that extracts additional power out of the geother­mal resource for an additional 10 MW (approximately 10,000 homes) of clean and renewable electrical energy. 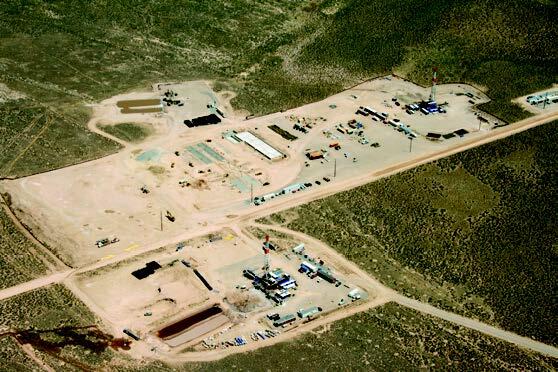 PacifiCorp is currently drilling additional exploratory holes with the intent to double the generating capacity of Blundell to 72 MW within the next three to four years. Surrounding historical Cove Fort and Sulphurdale, Utah, is the Cove Fort–Sulphurdale Known Geothermal Resource Area (KGRA), located in Millard and Beaver Counties in south-cen­tral Utah. 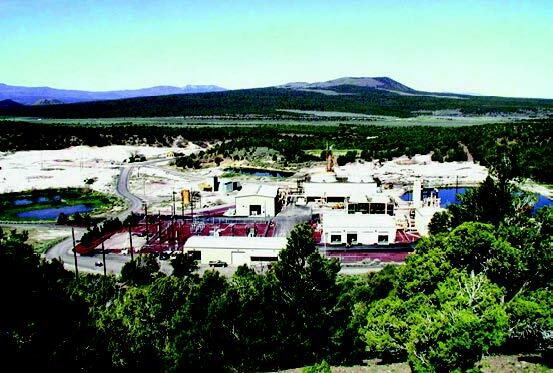 Geothermal exploration in the Cove Fort–Sulphurdale KGRA started in 1974 and continued through 1985 when Mother Earth Industries, Inc., developed a small 1.5 MW power plant. Named the Bonnett Power Plant, second and third phase devel­opment raised its capacity to 10 MW by 1990. In 1992 the plant was sold to the City of Provo and Utah Municipal Power Author­ity (UMPA), which provided power to five Utah cities. In 2003, due to operation and maintenance issues, the Bonnett plant was shut down. Since then, plant ownership changed hands several times, but the plant remained inoperative. Most recently, Enel North America, Inc., purchased the Bonnett plant and leased several thousand acres of U.S. Forest Service property. Enel plans to develop approximately 26 MW of capacity that will be operational by 2011. In the fall of 1776, Fathers Escalante and Dominguez rode west out of an encampment near present-day Cedar City in search of a route to Monterey, California. They unfortunately encoun­tered fierce, cold, and blowing winds that forced them to turn south back to Mexico. But along the way, the expedition discov­ered what is now called Thermo Hot Springs in Escalante Val­ley. More than two centuries later, geothermal developers have drilled a 7,000-foot hole in the heart of Escalante Valley. Due to its remoteness, the area had not been developed until this year. 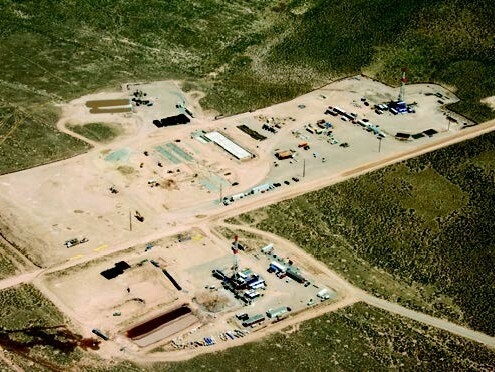 A geothermal developer, Raser Technologies, Inc., has been drill­ing production and resource injection holes and plans to have a power plant on-line by October 2008. This 10 MW power plant will use new generating technology that is basically a plug-and-play system. Instead of one big generator, the power plant will consist of 35 smaller generators. This smaller, more modular design will allow development of the plant at a faster rate than a traditional geothermal power plant. Raser has plans for two other power plants in Utah that are similar in size. To carry out their business model, Raser has obtained over 100,000 acres of Bureau of Land Management and private land leases in Utah for current and future developments. While the development of Utah’s geothermal resources is indeed growing, the geothermal renaissance in Utah is not unique to the state; geothermal energy has risen in popularity worldwide for its constant generating potential (other renewables such as solar and wind are intermittent resources) and for being a clean and renewable energy resource. With growing domestic power needs and increased demand for clean and renewable energy in the western United States, Utah is bound to be a leader in geothermal development for decades to come. The potential is right under our feet.